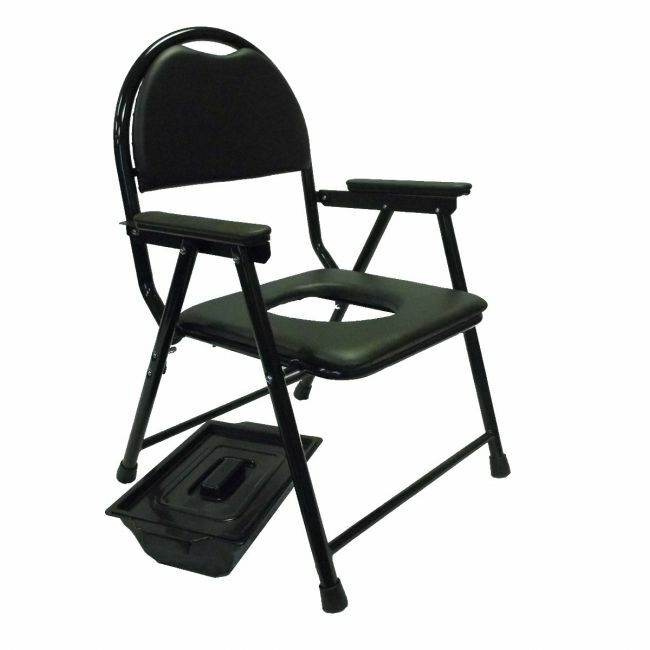 Folding commode chair ECCOM4 is lightweight and folds up easily and compact for storage. The included 5 Litre pan with lid is removeable by sliding it out from the back of the commode. A Padded seat and backrest provides extra support and comfort compared to more economy models.